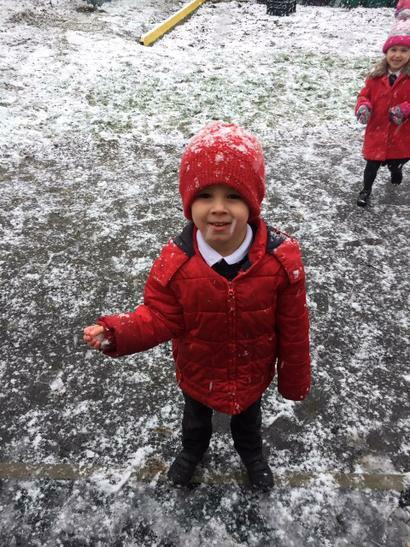 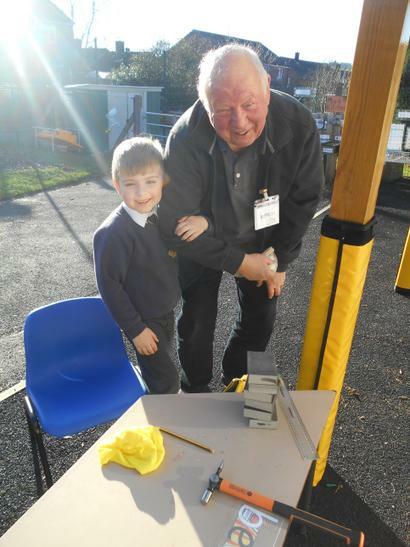 We welcomed the Grandad of one of our children into school today. 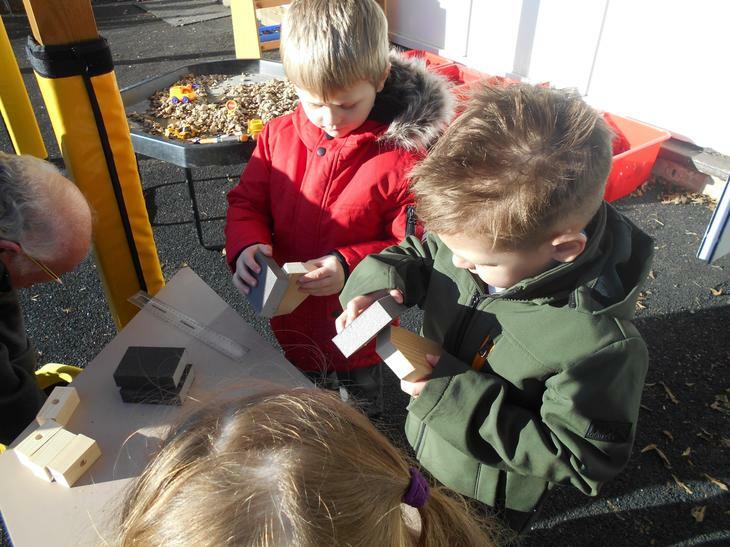 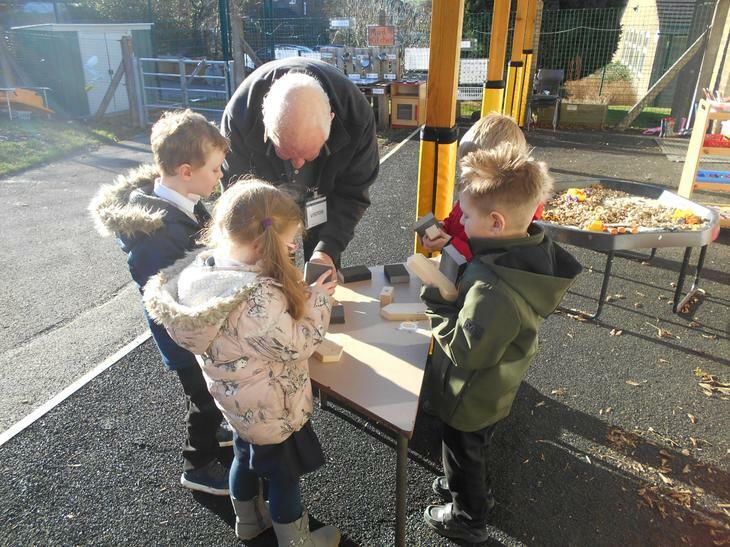 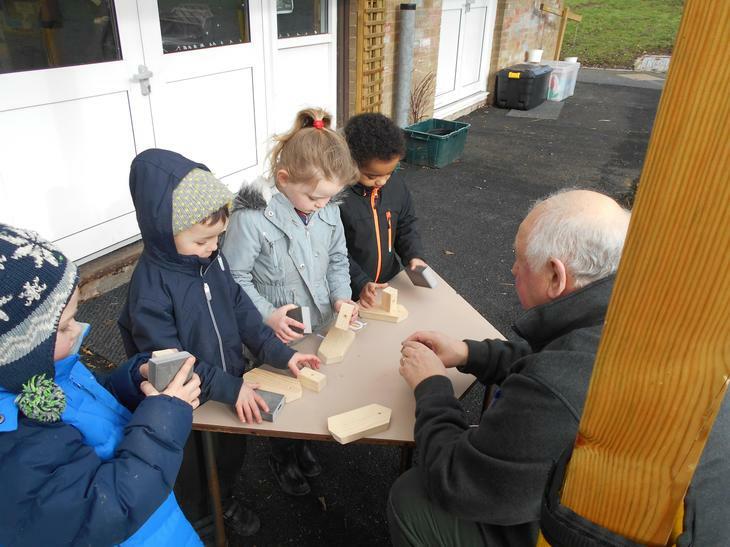 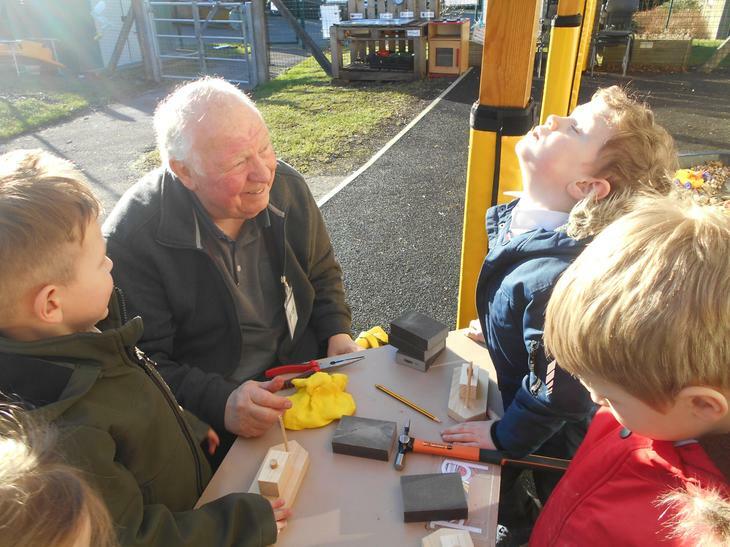 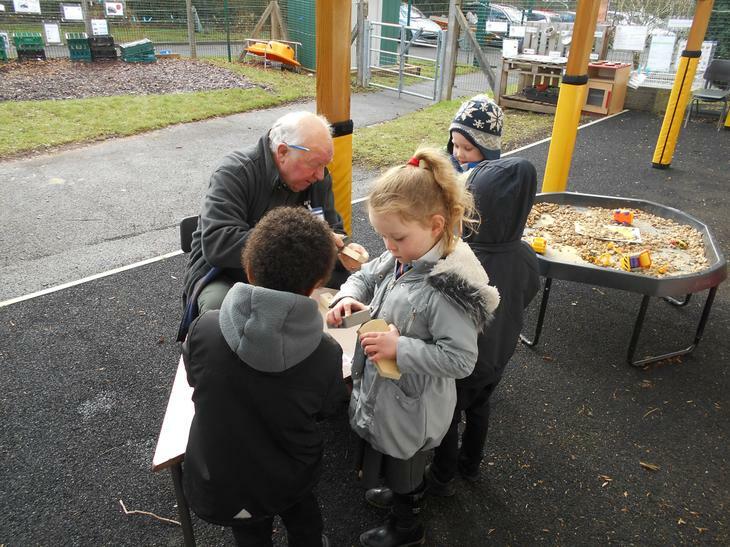 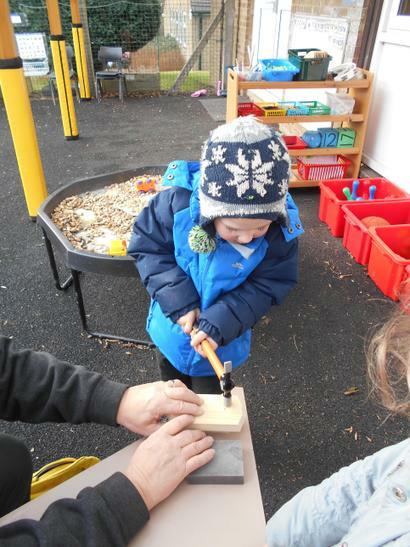 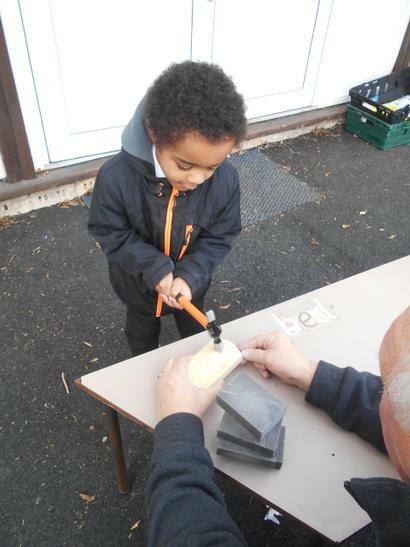 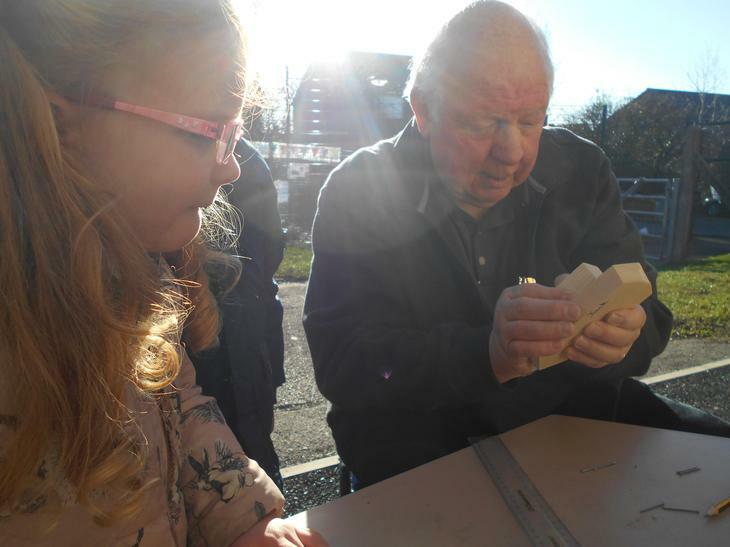 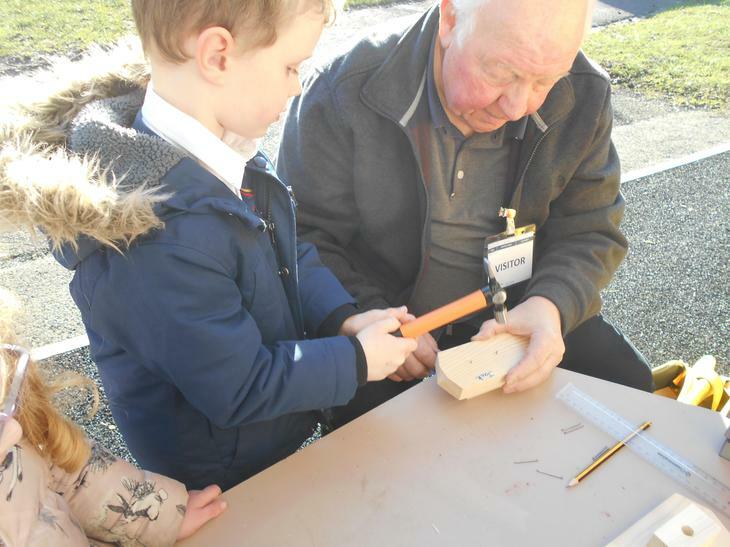 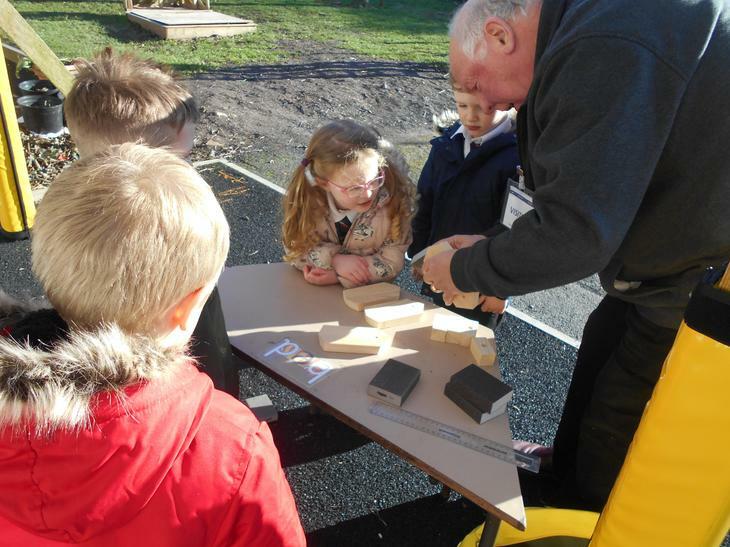 He showed the children how to sand and hammer panel pins into wood. 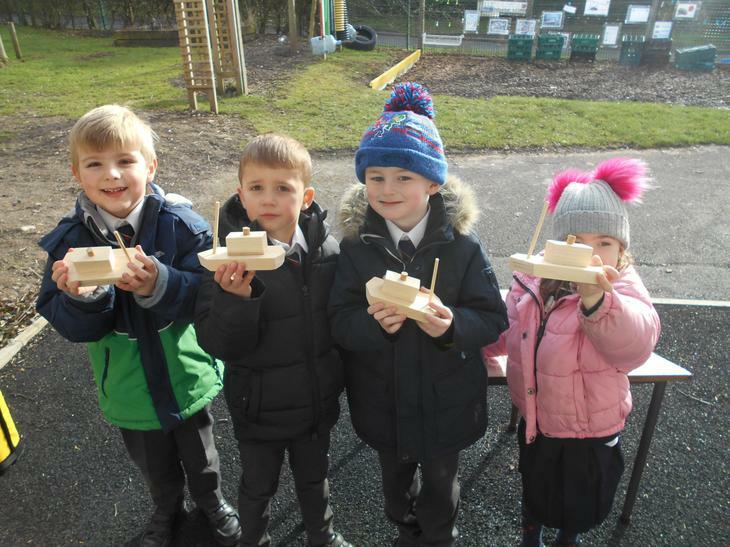 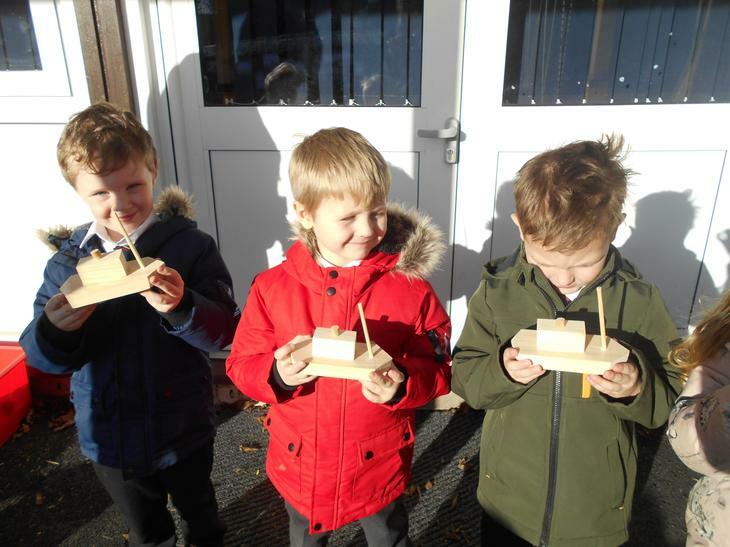 The result was an amazing boat complete with mast. 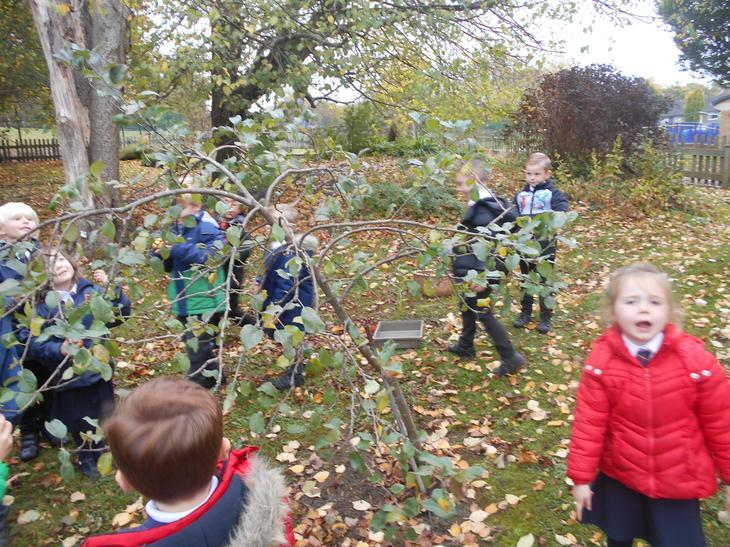 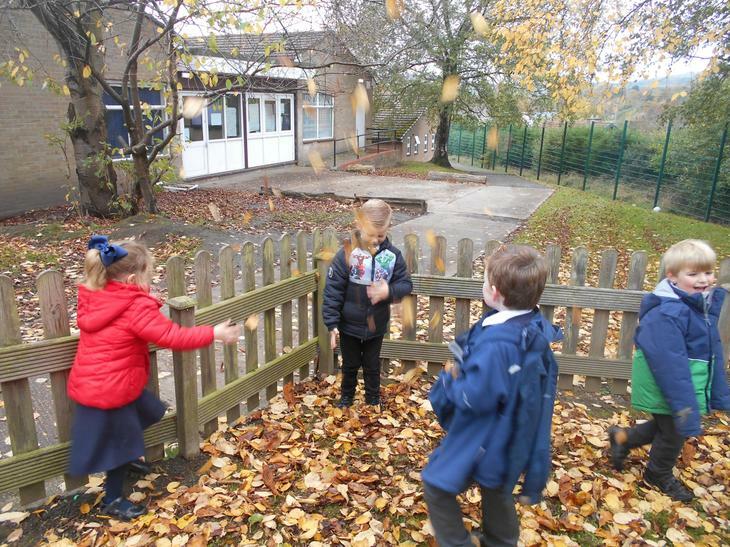 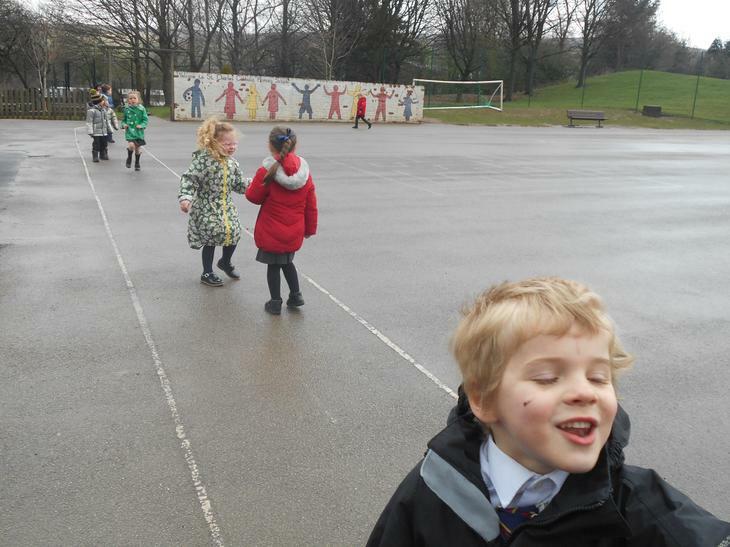 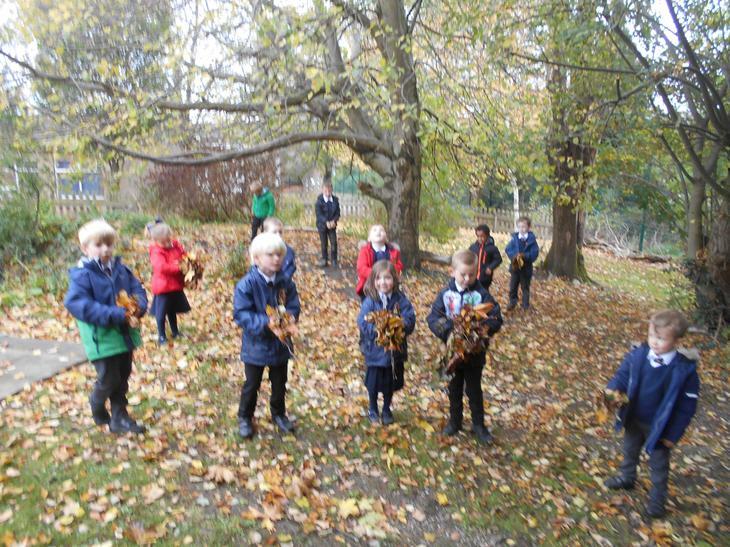 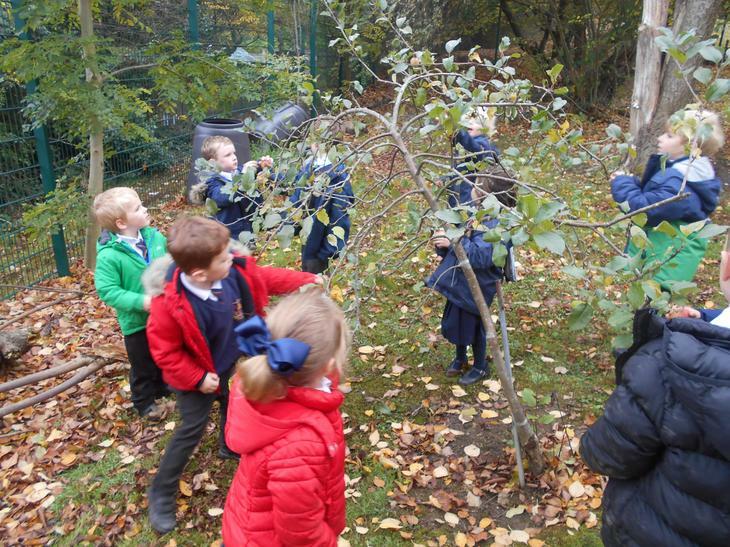 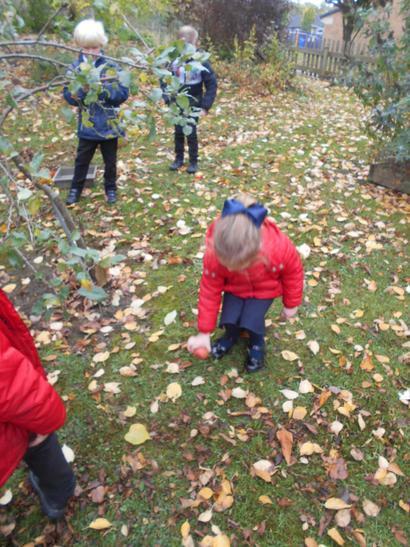 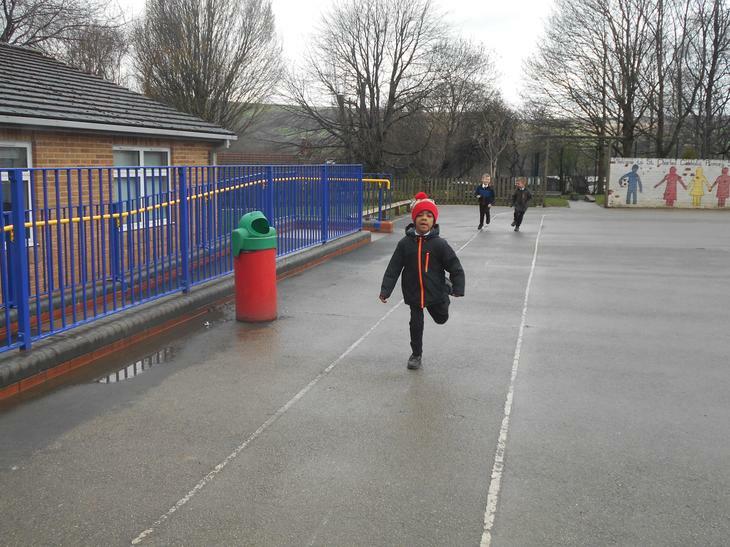 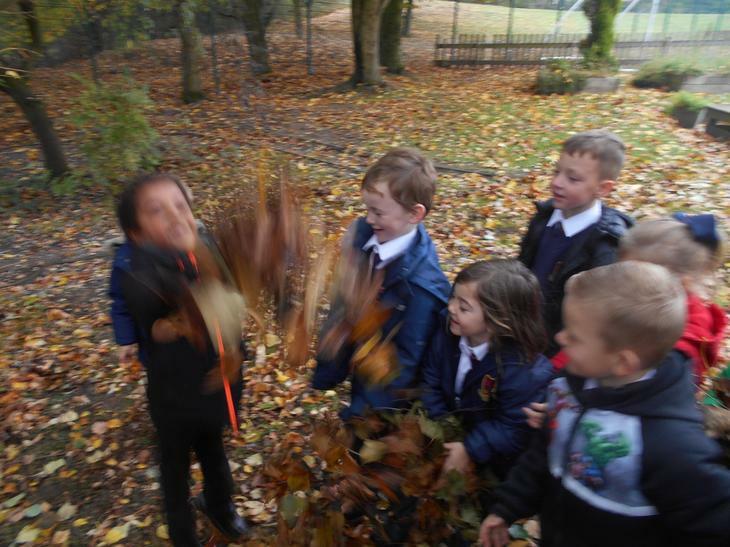 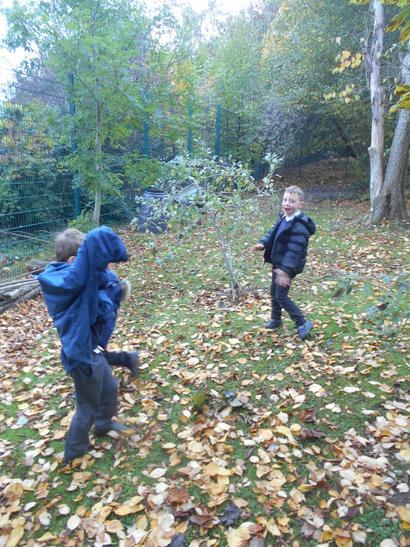 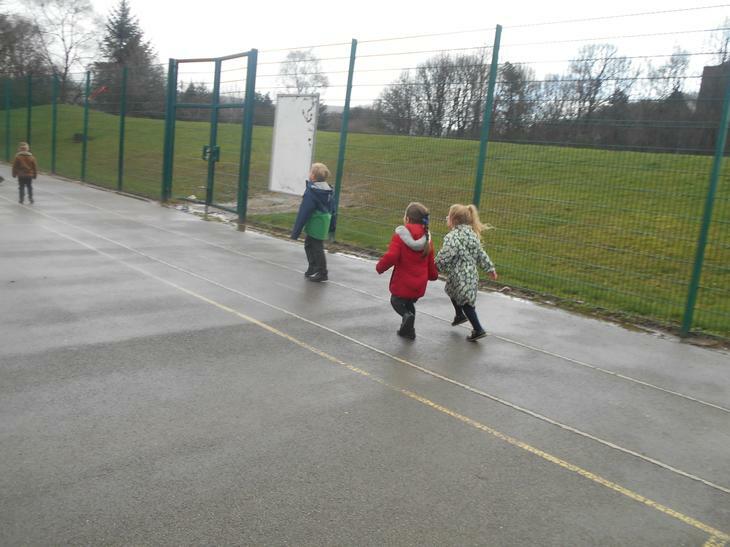 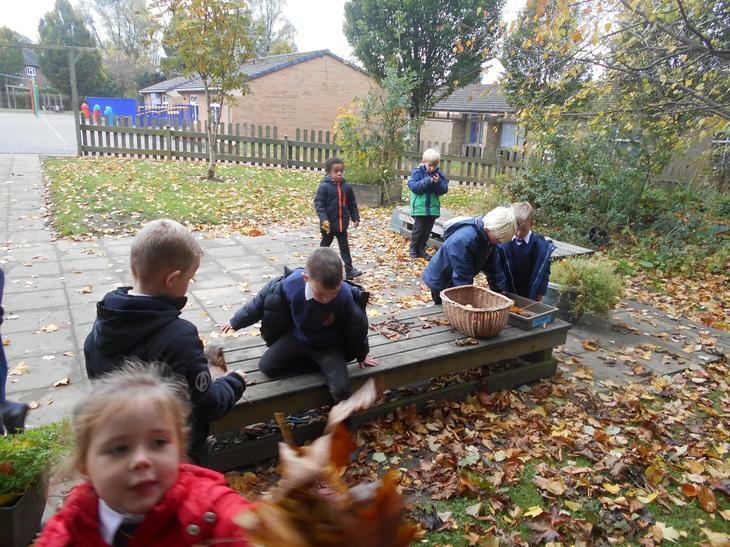 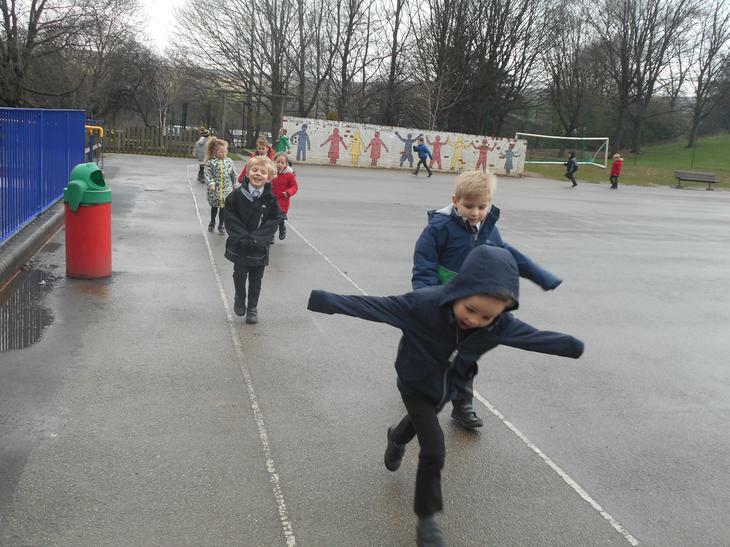 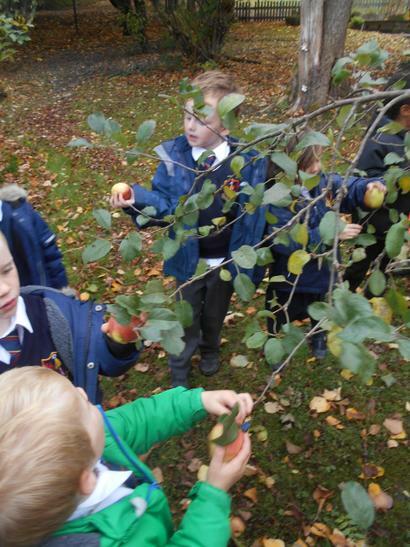 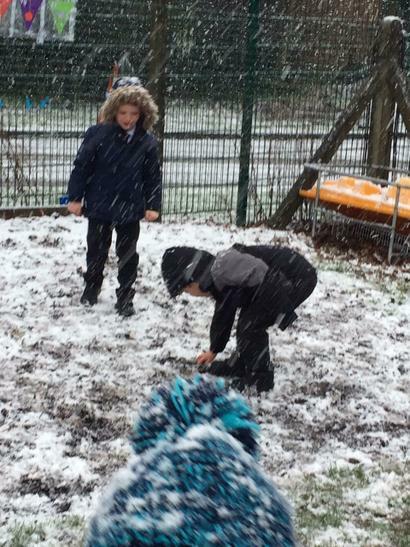 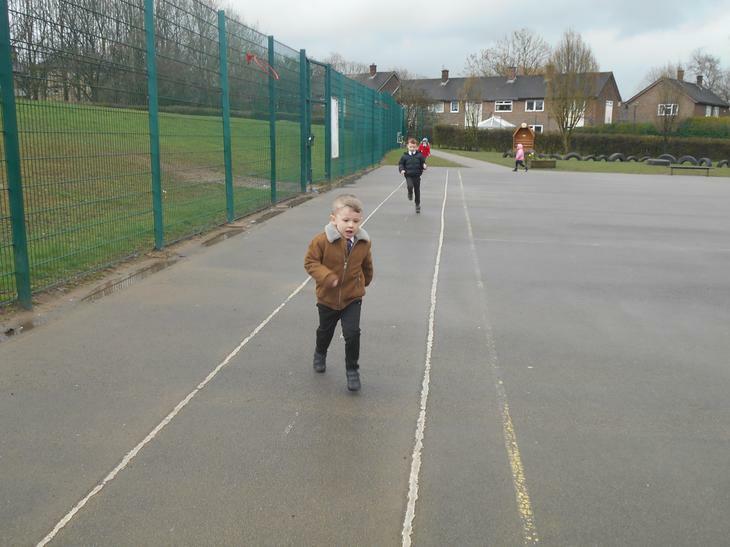 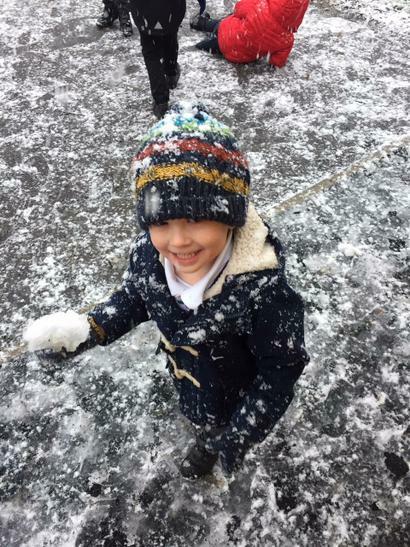 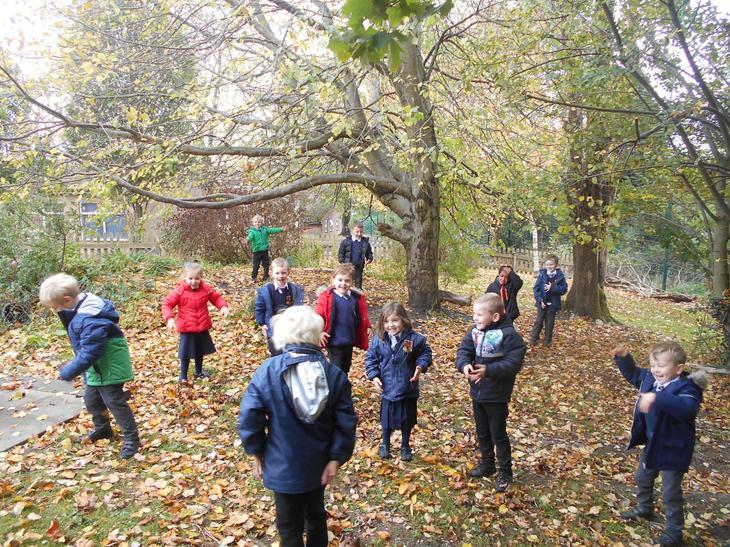 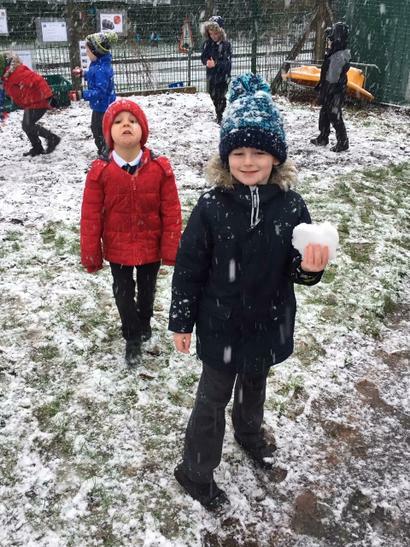 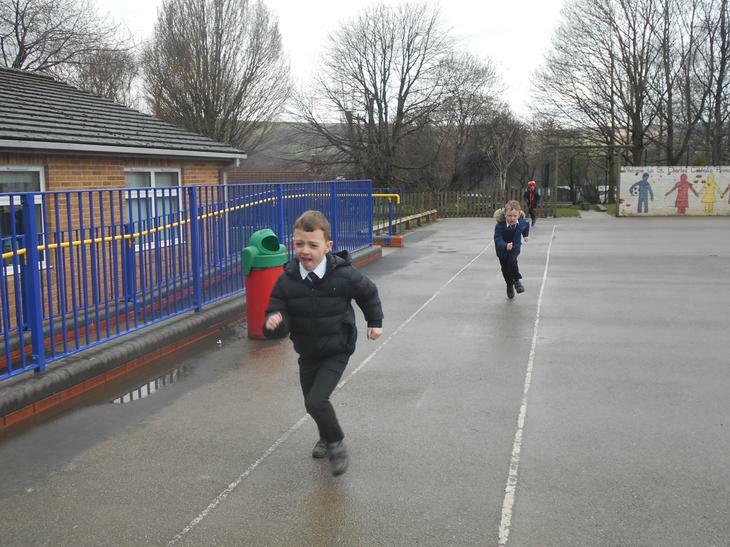 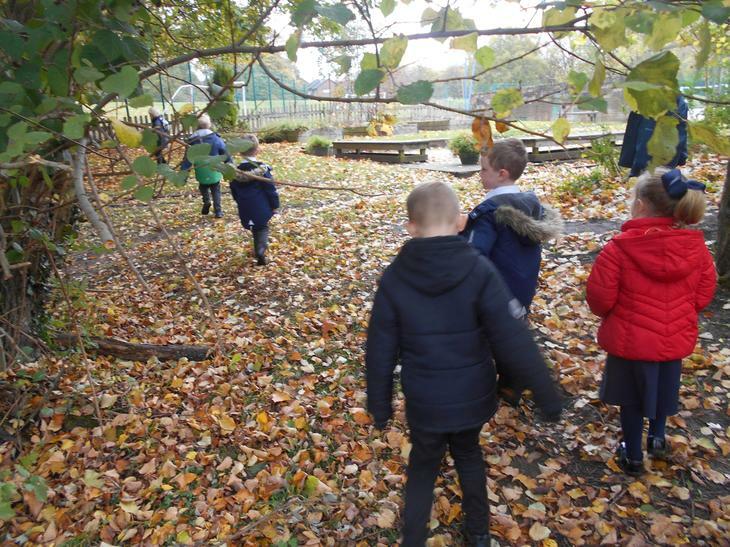 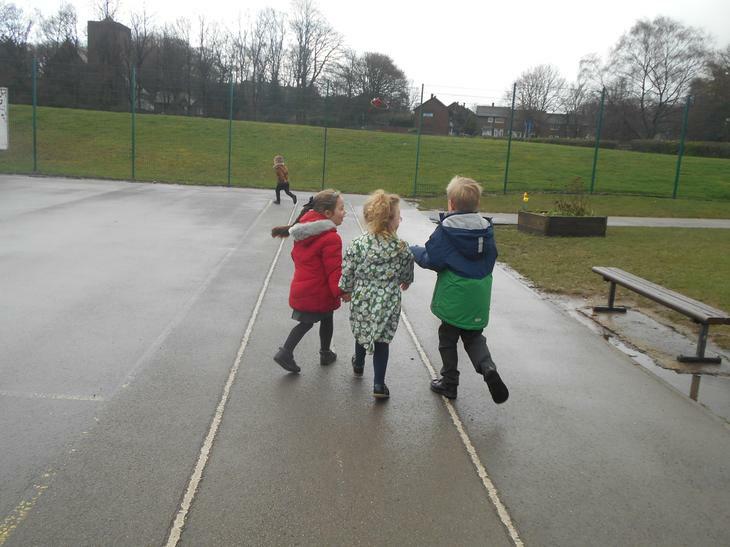 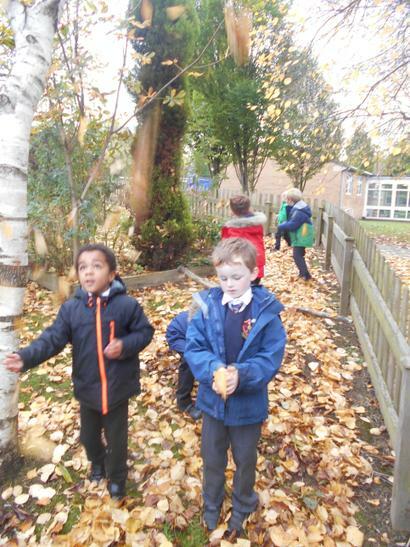 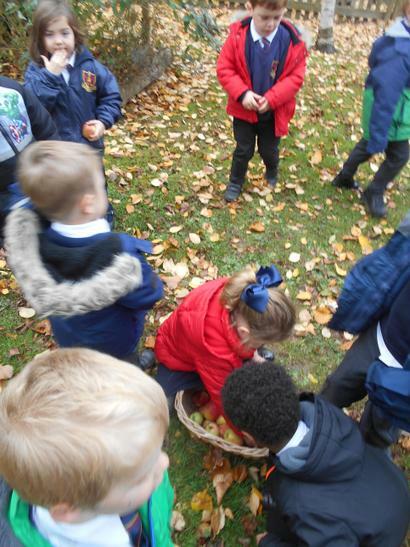 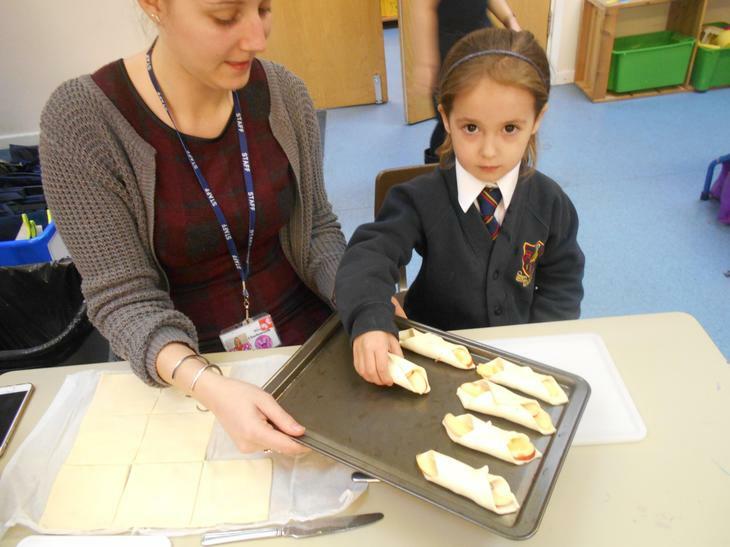 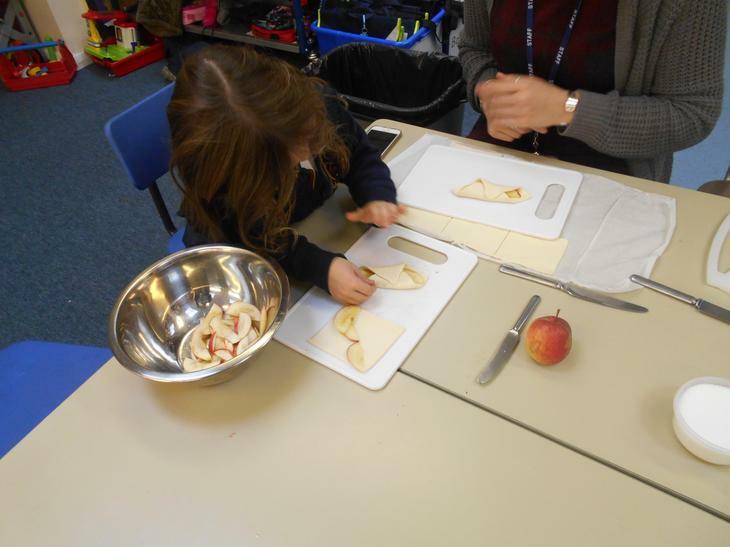 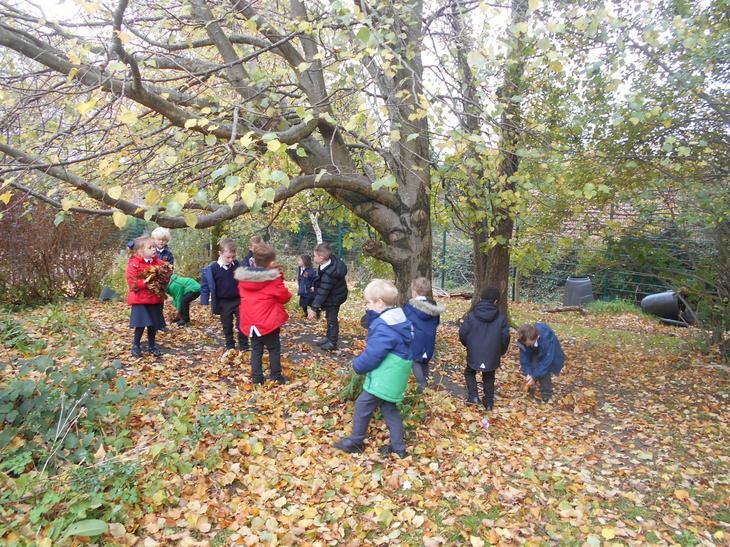 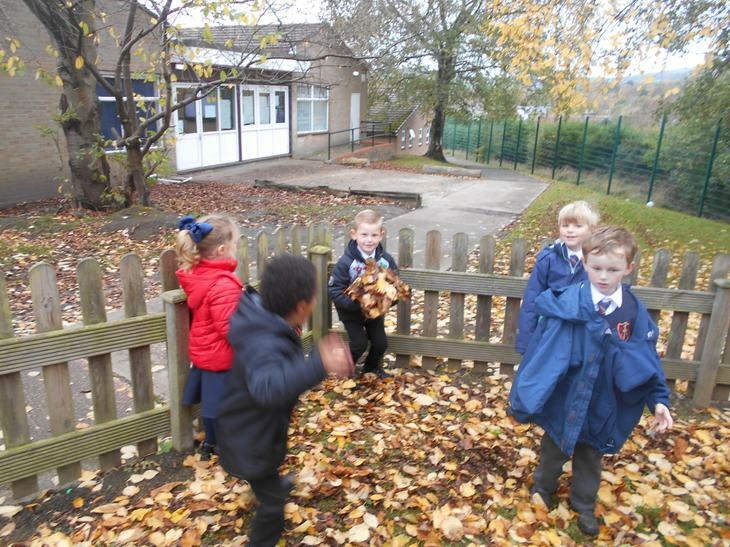 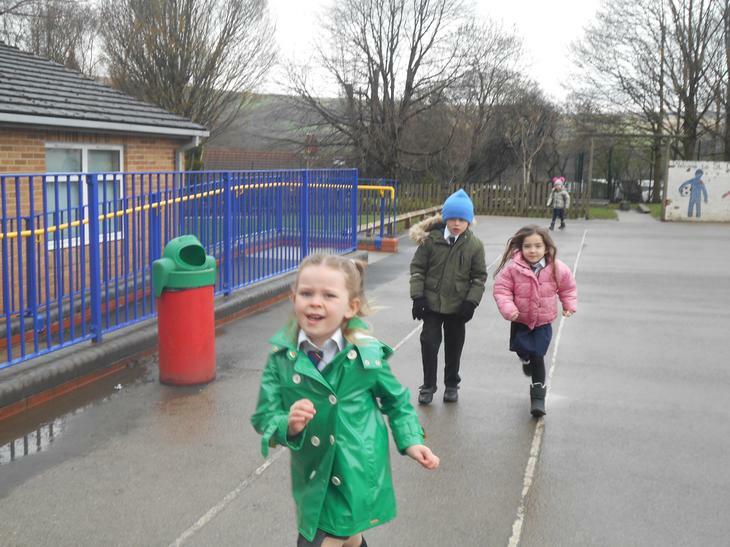 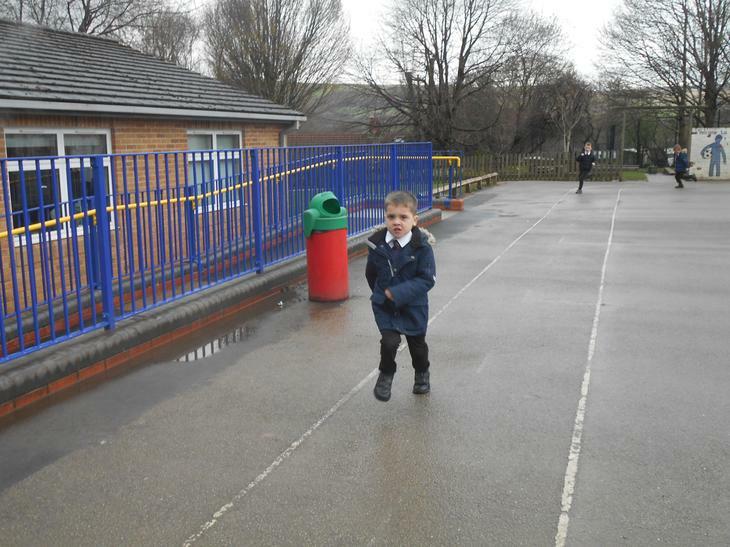 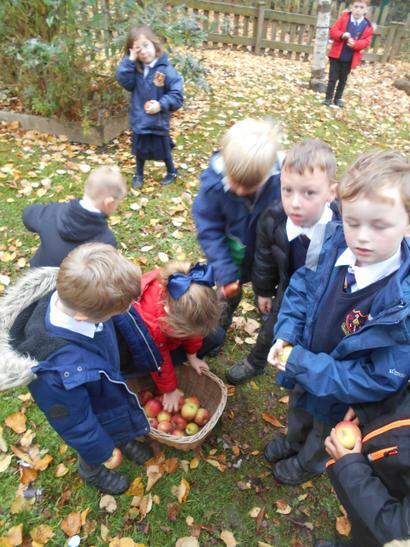 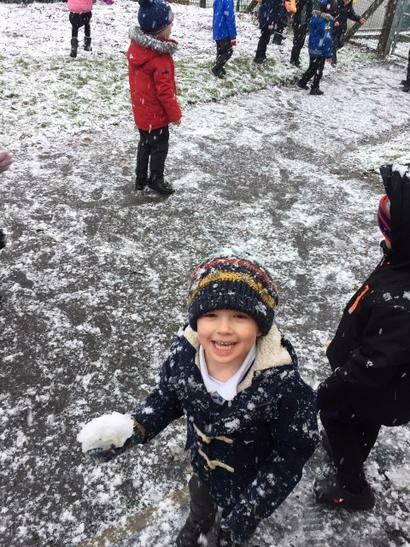 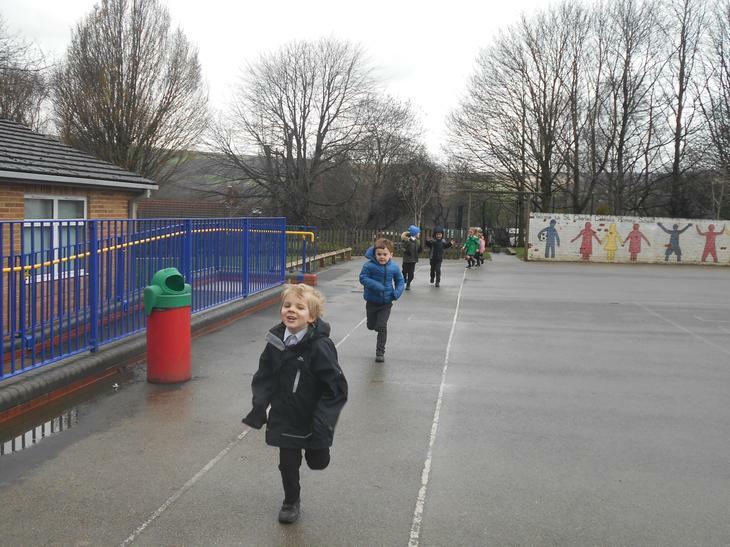 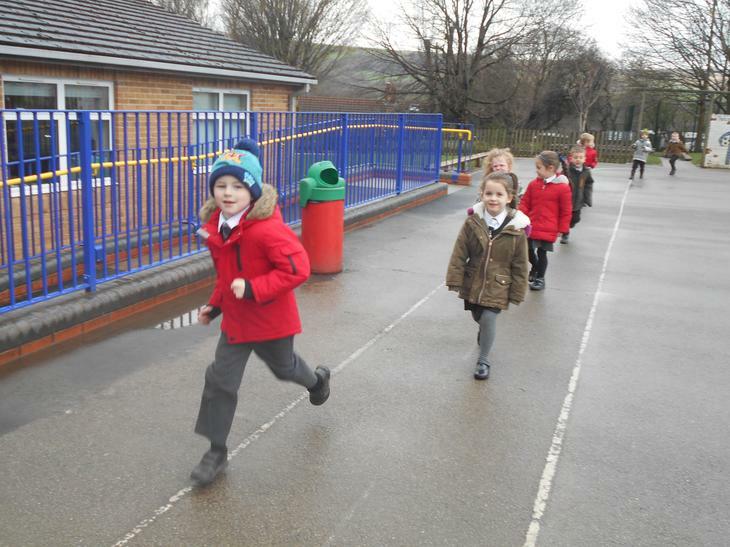 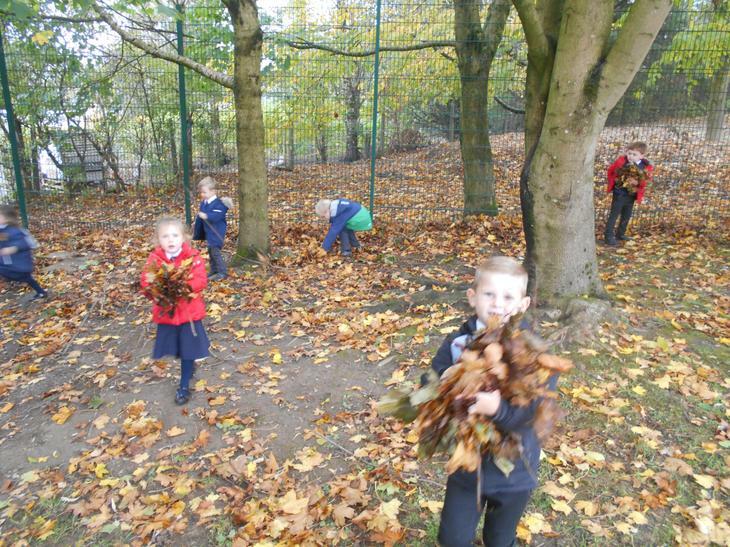 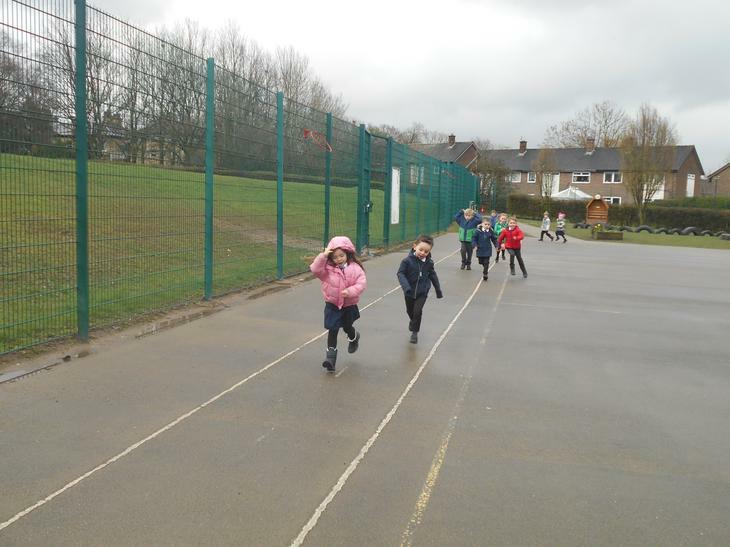 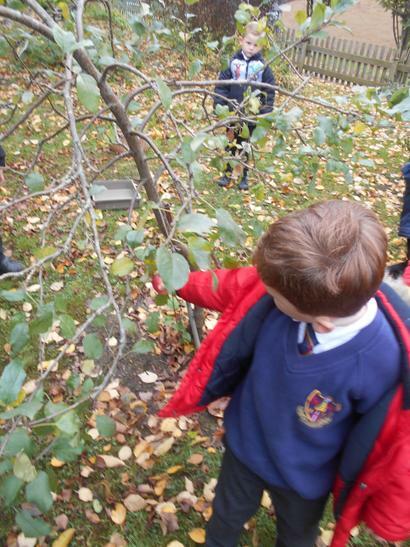 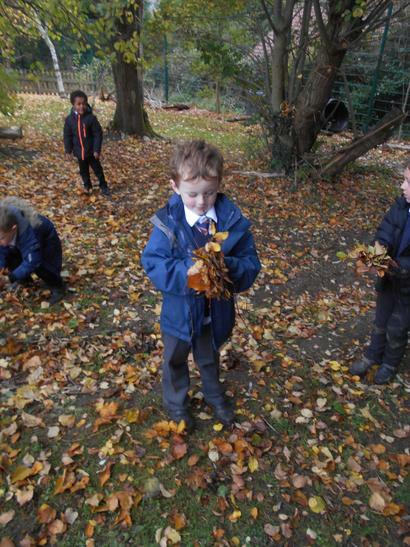 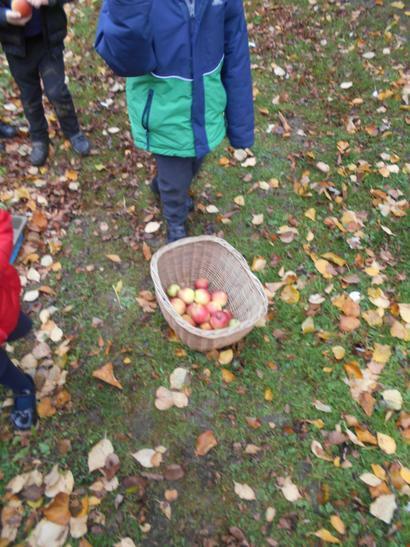 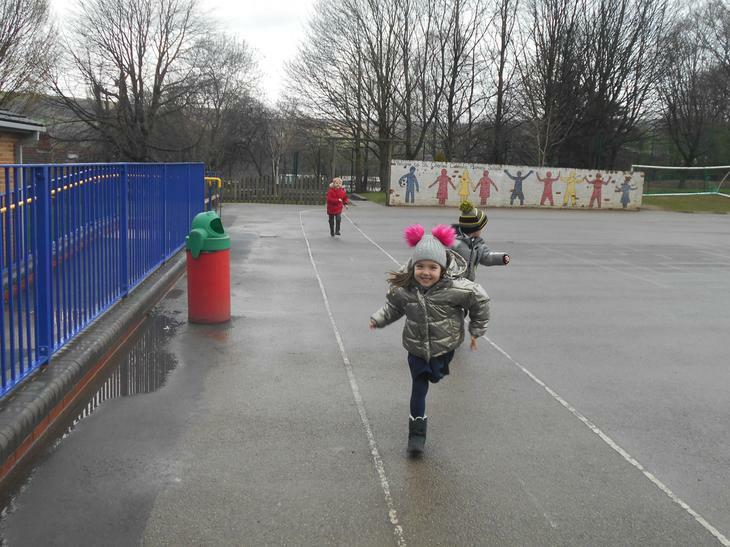 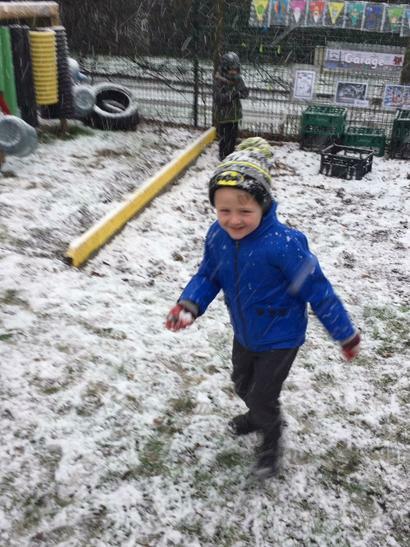 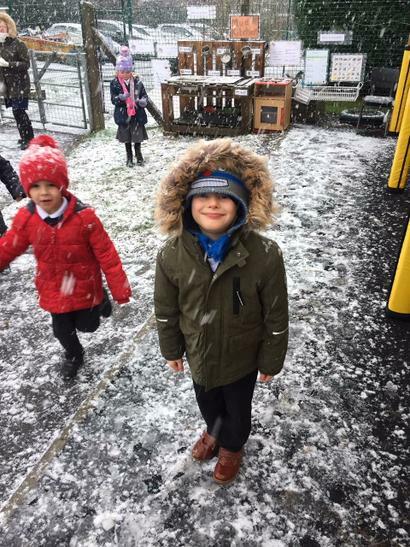 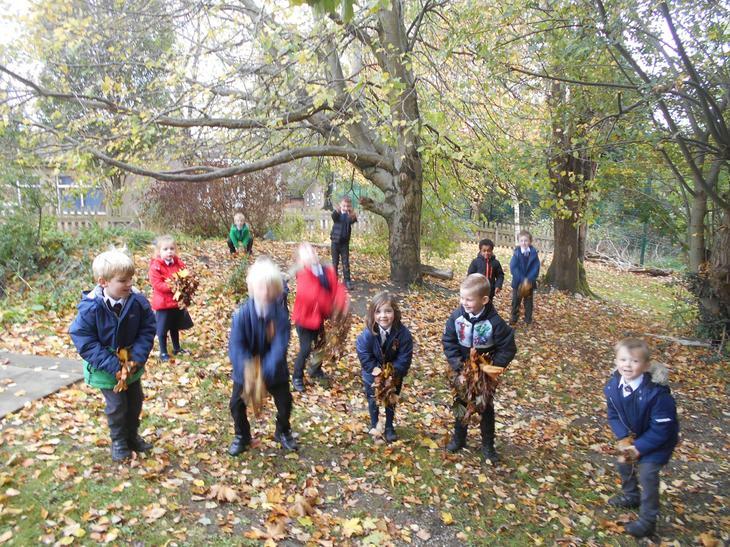 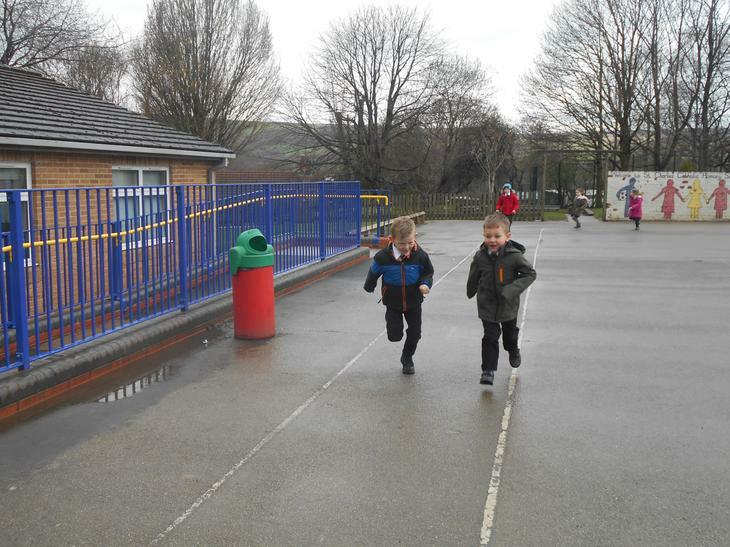 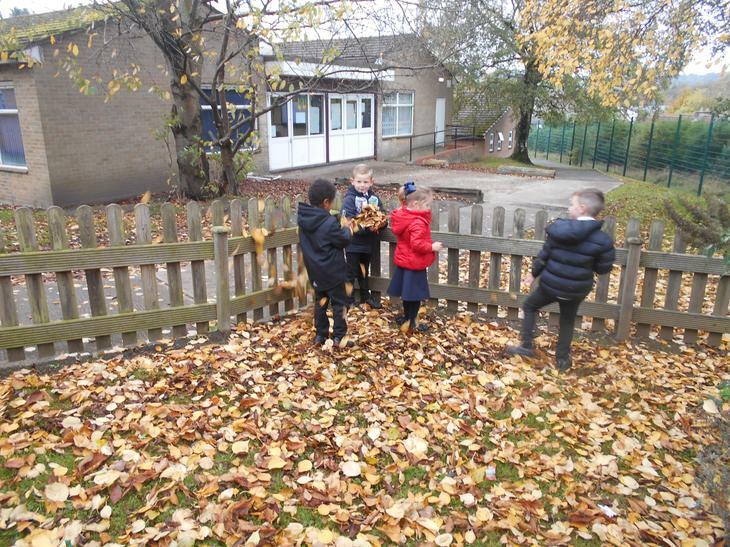 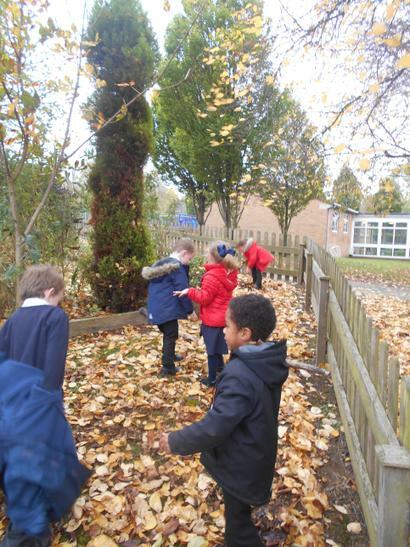 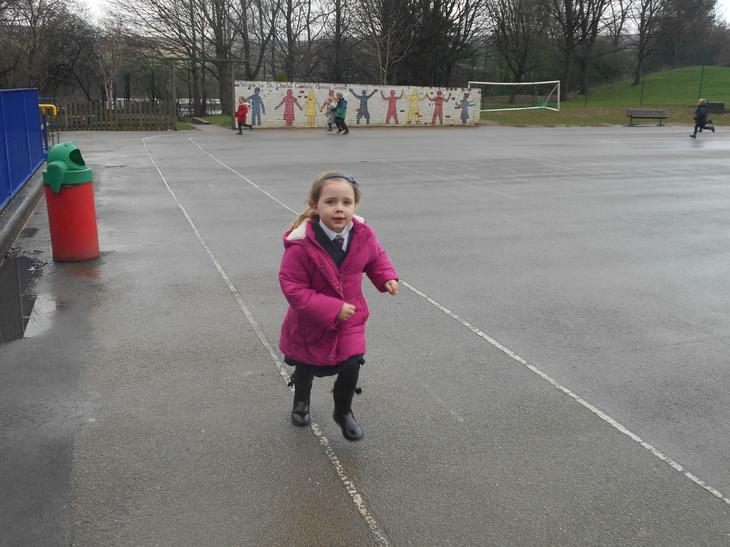 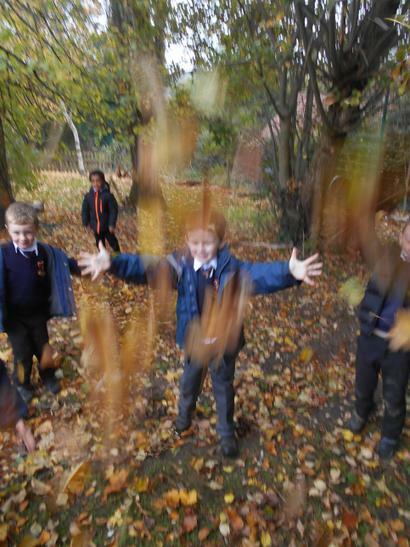 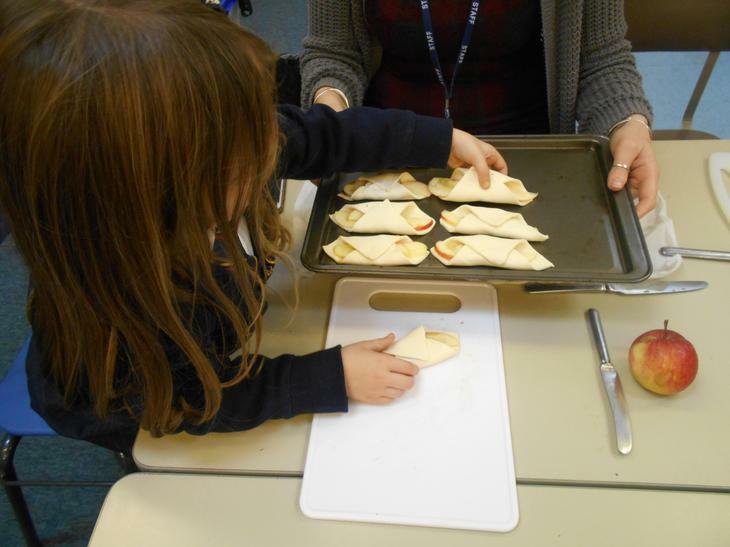 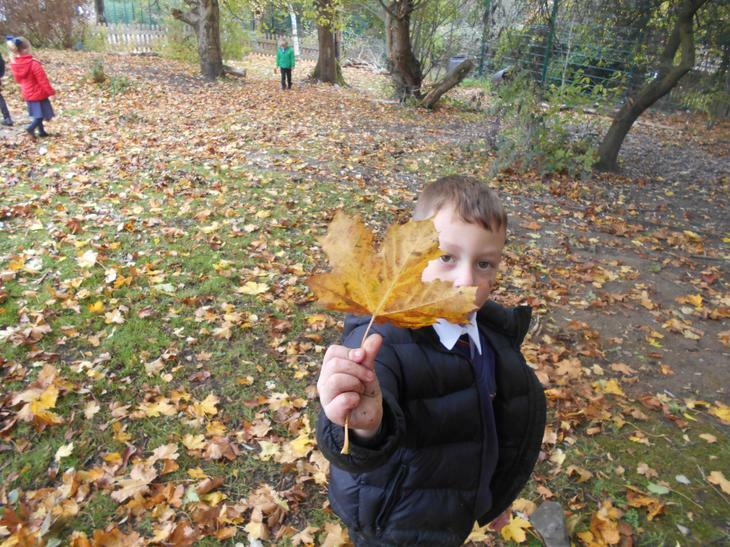 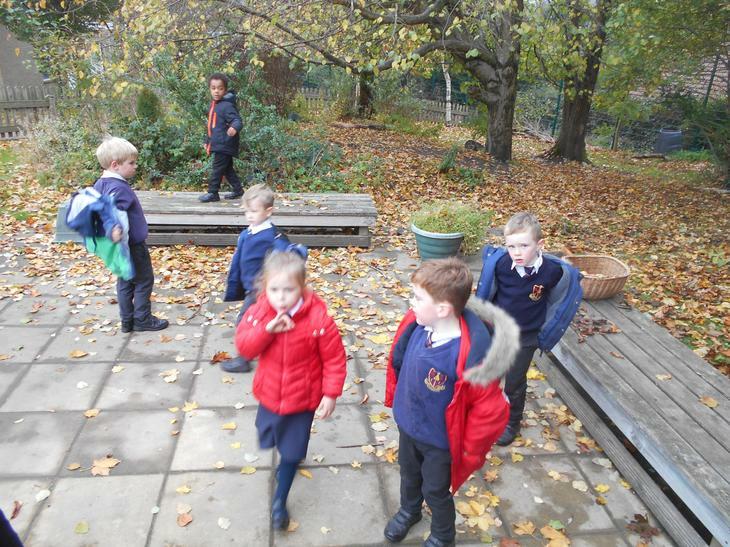 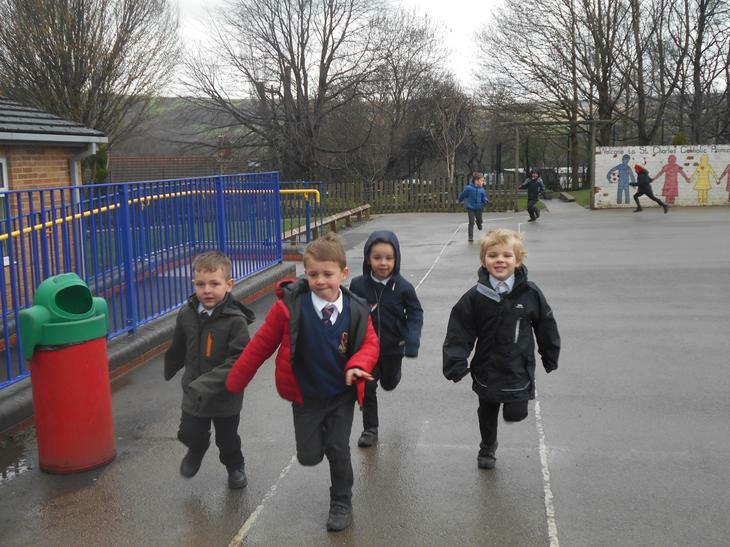 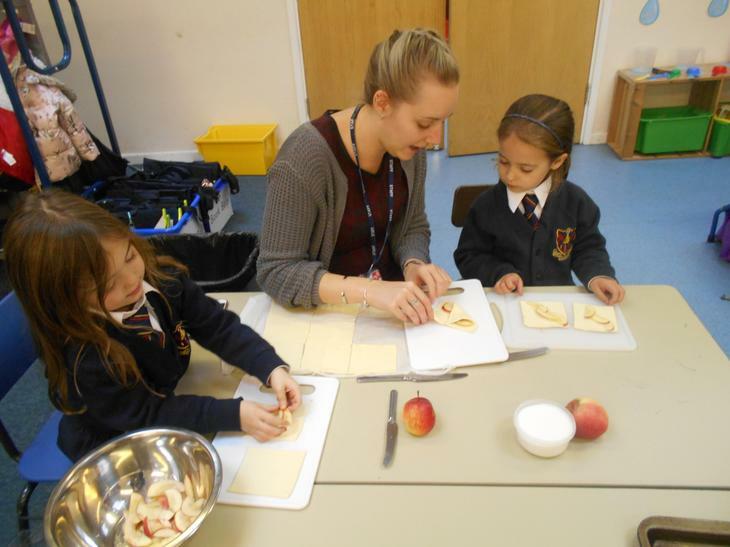 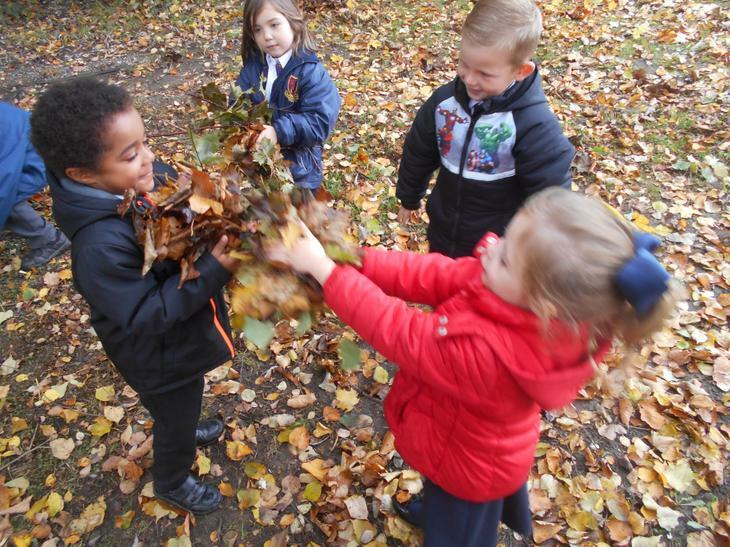 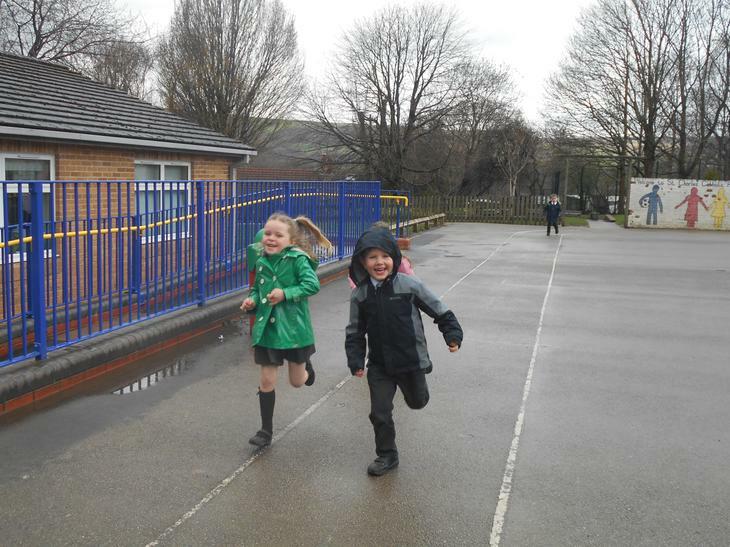 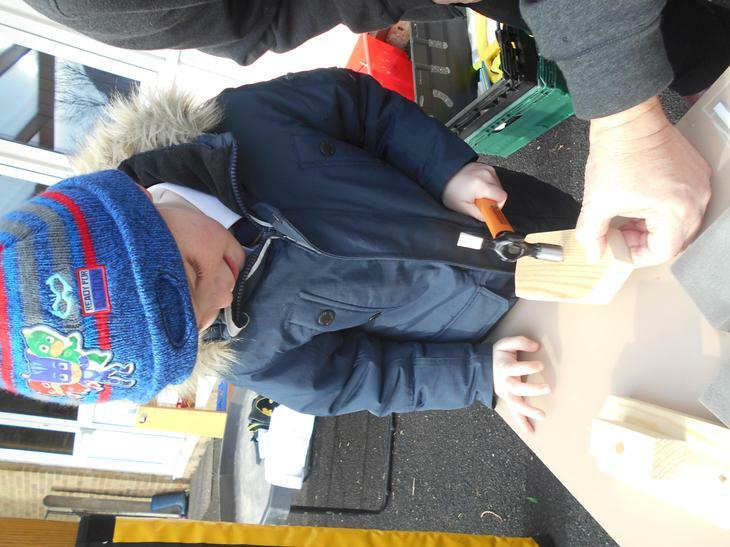 The children were very keen and carefully listened to all the safety instructions. 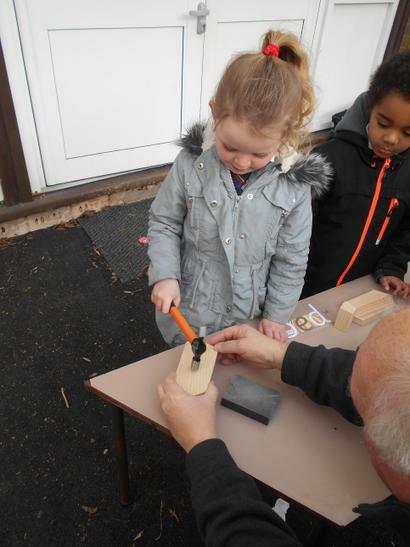 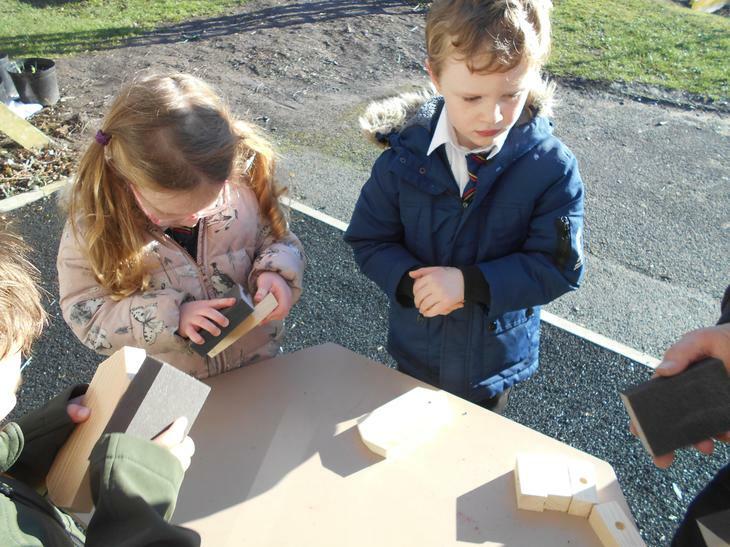 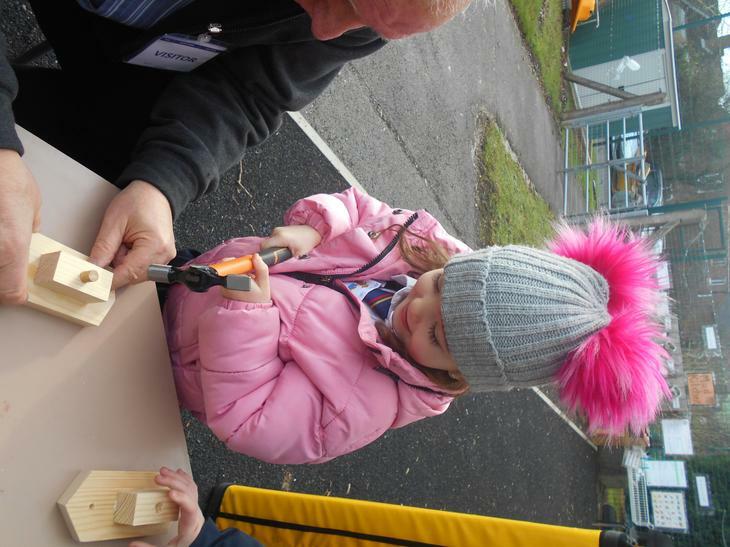 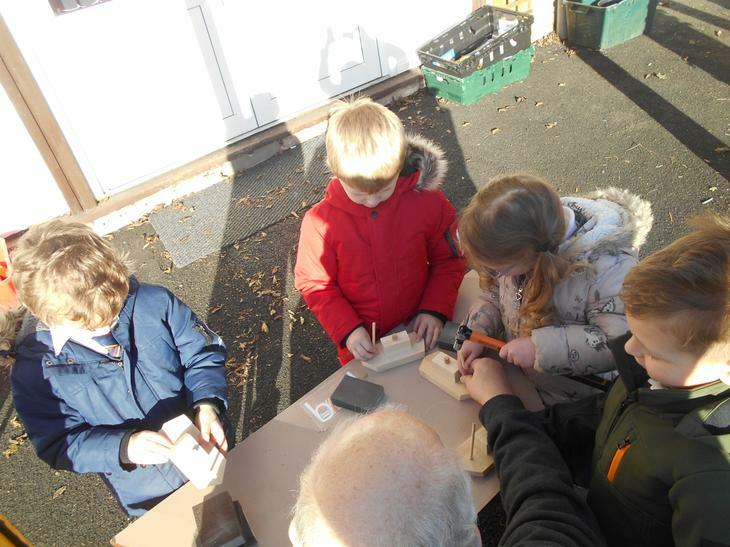 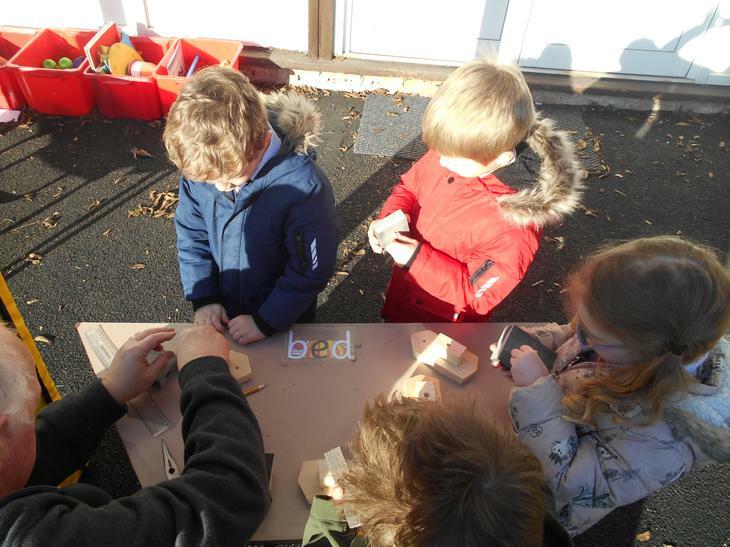 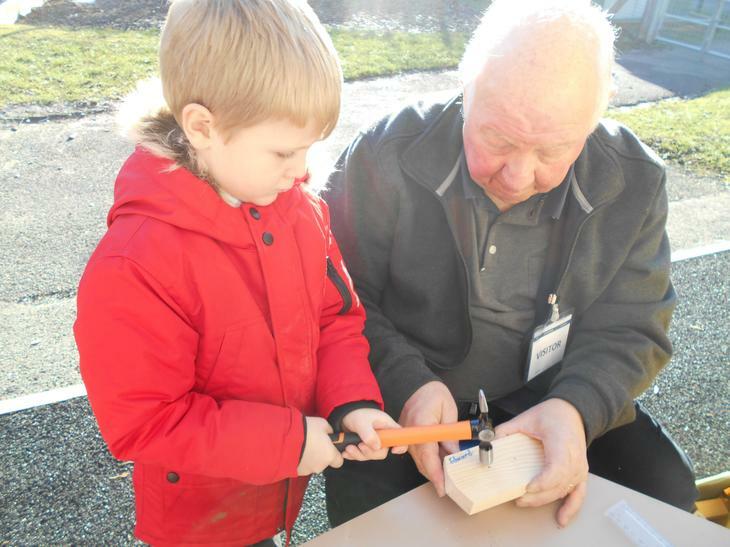 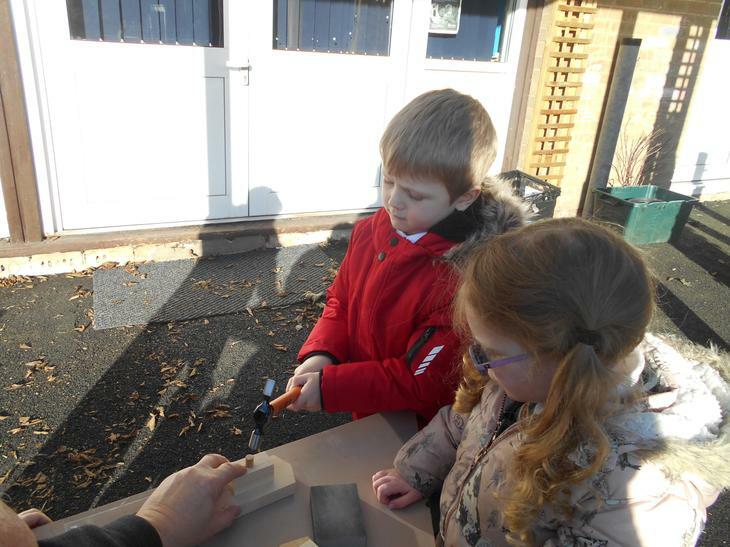 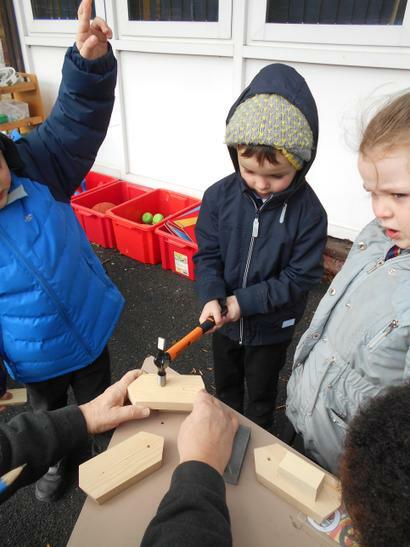 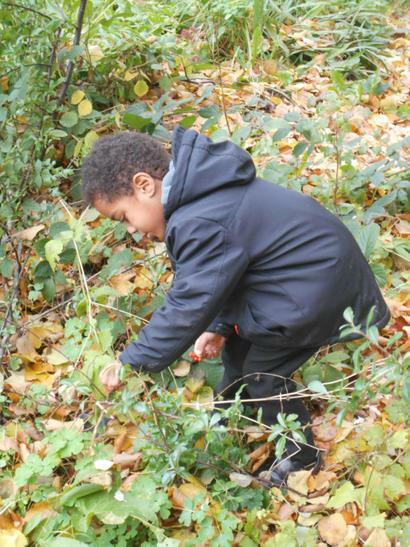 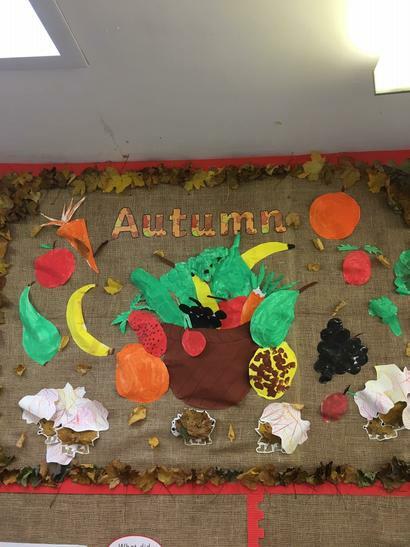 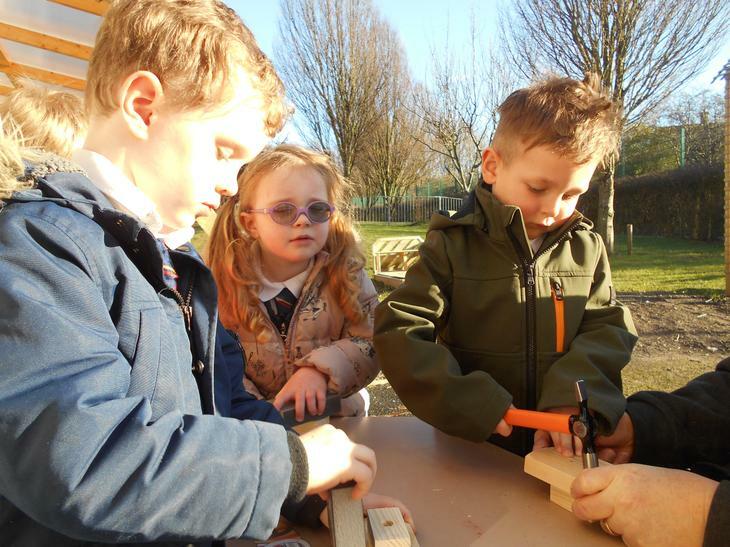 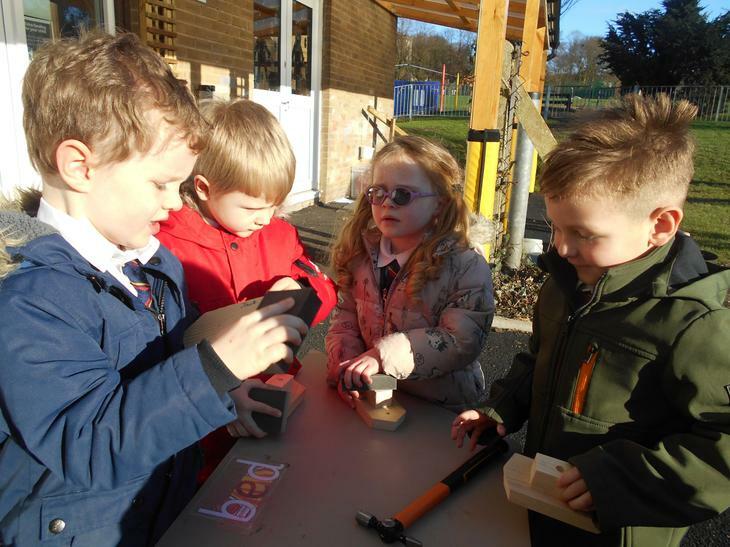 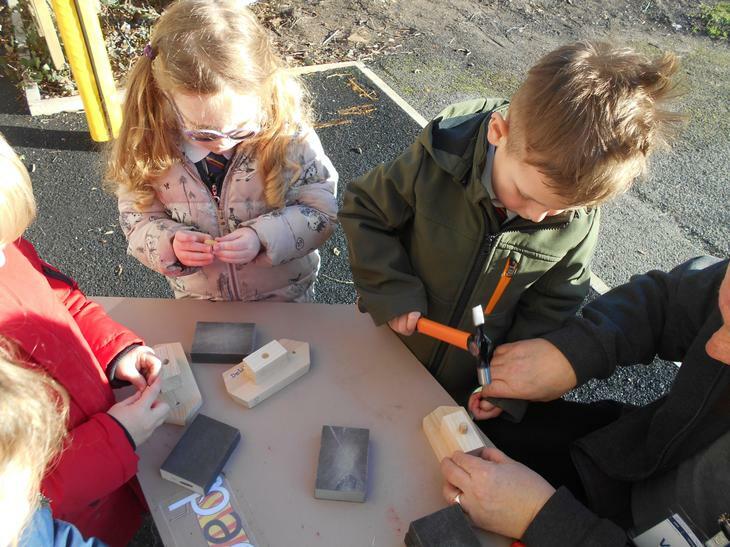 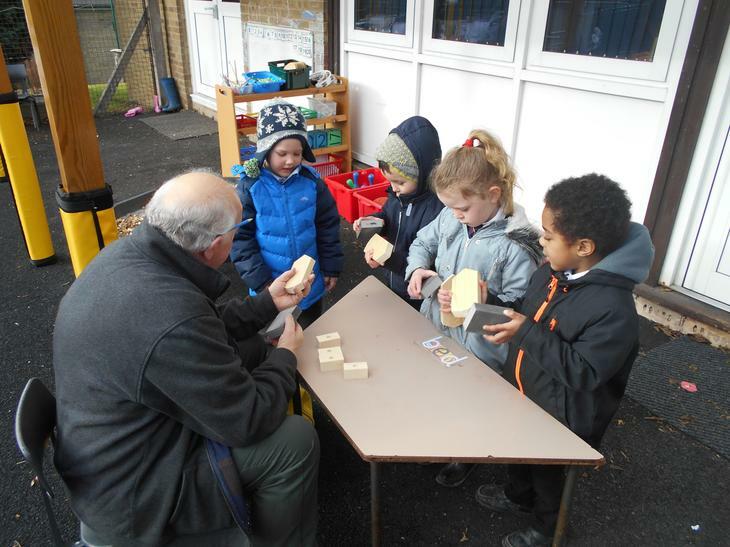 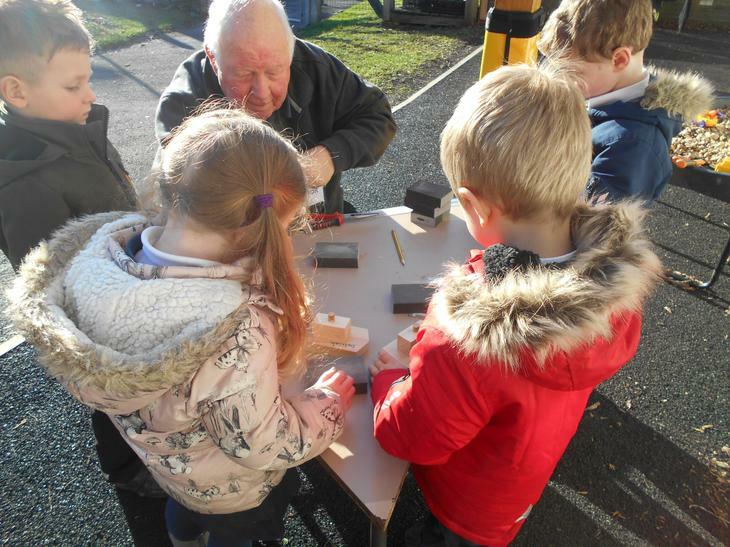 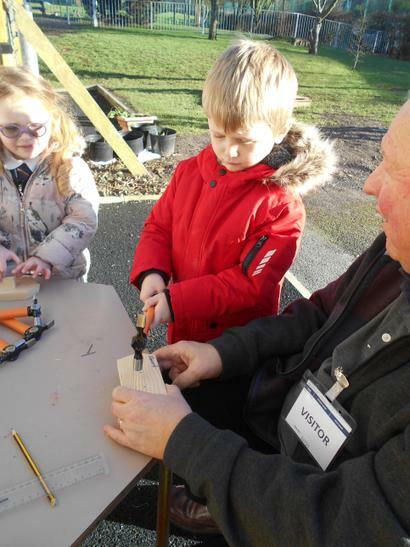 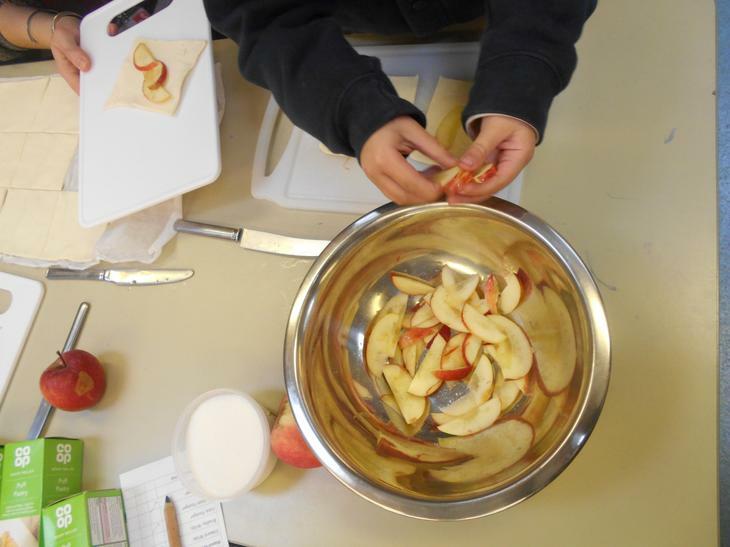 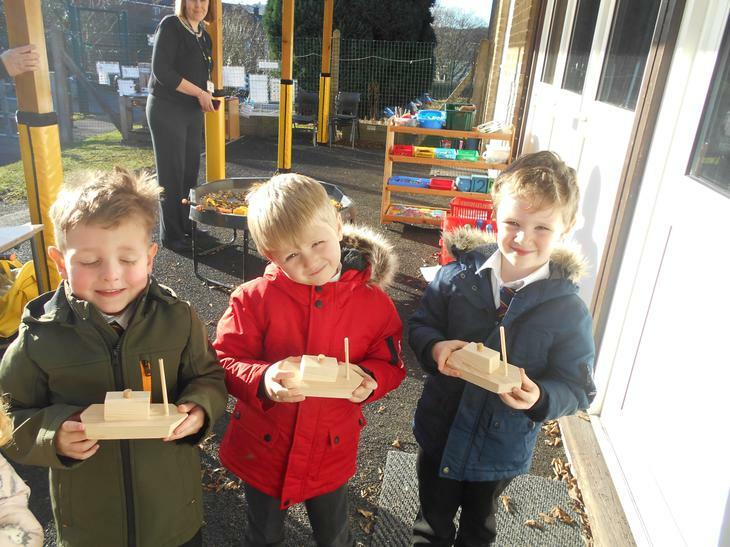 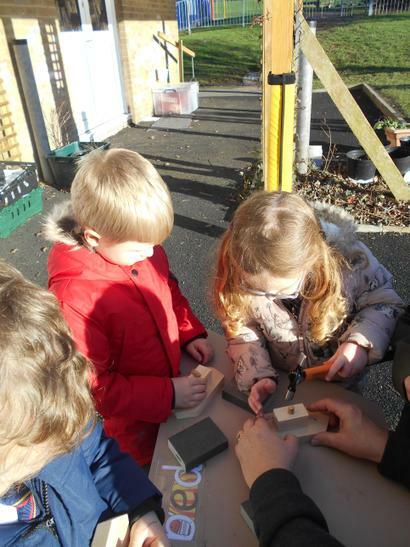 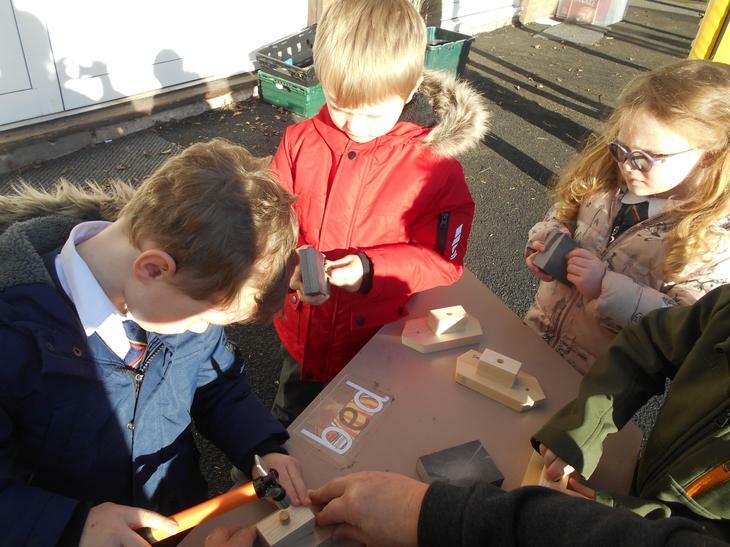 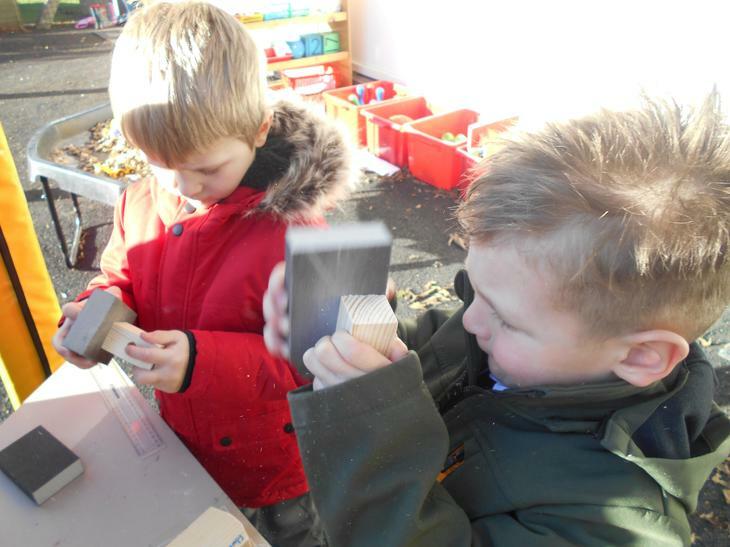 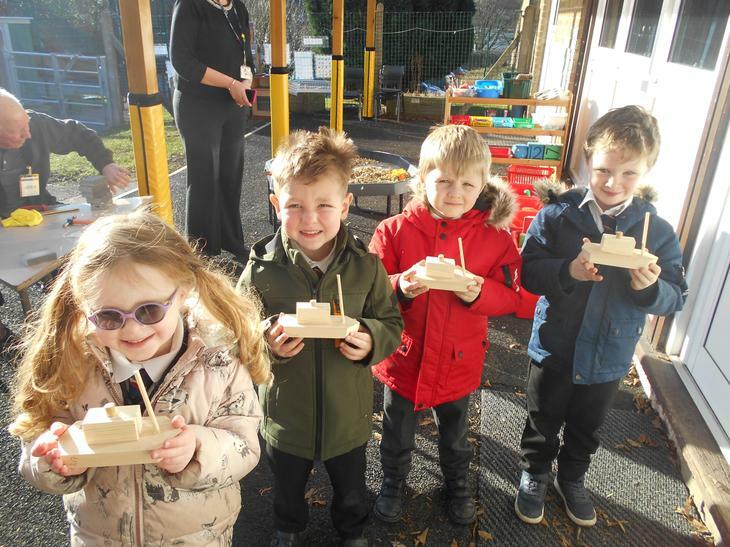 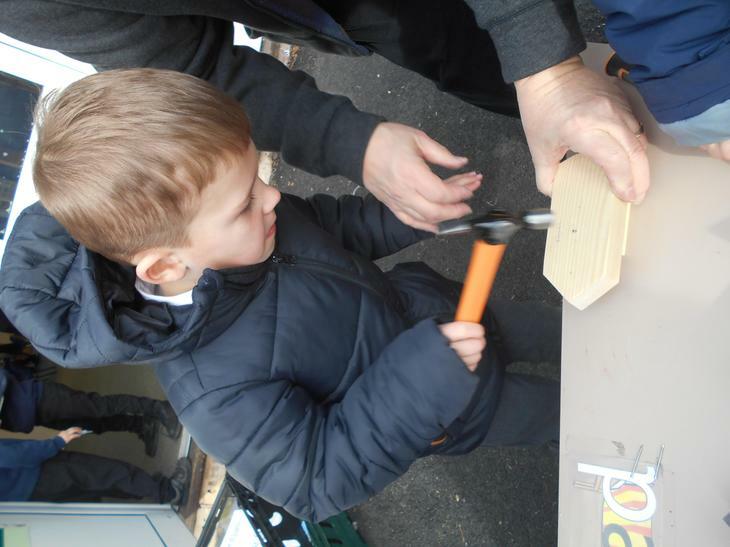 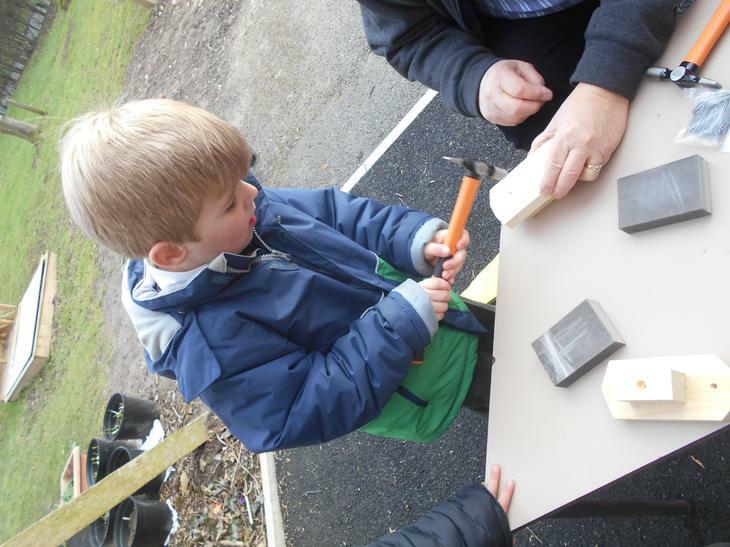 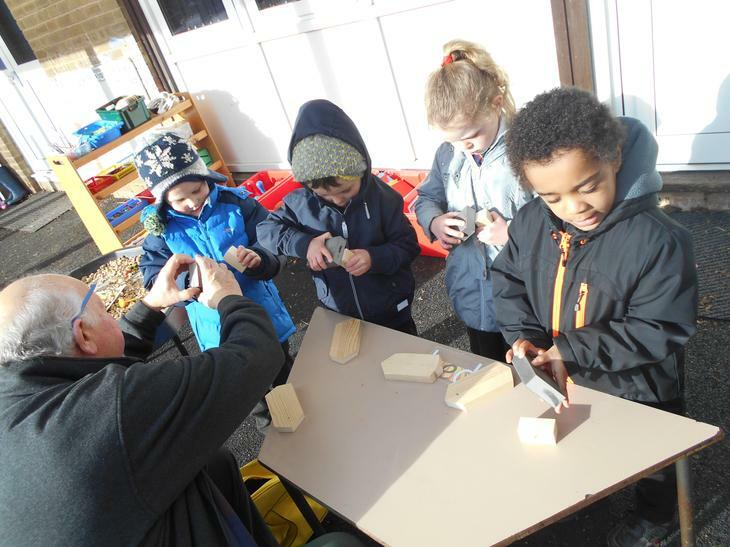 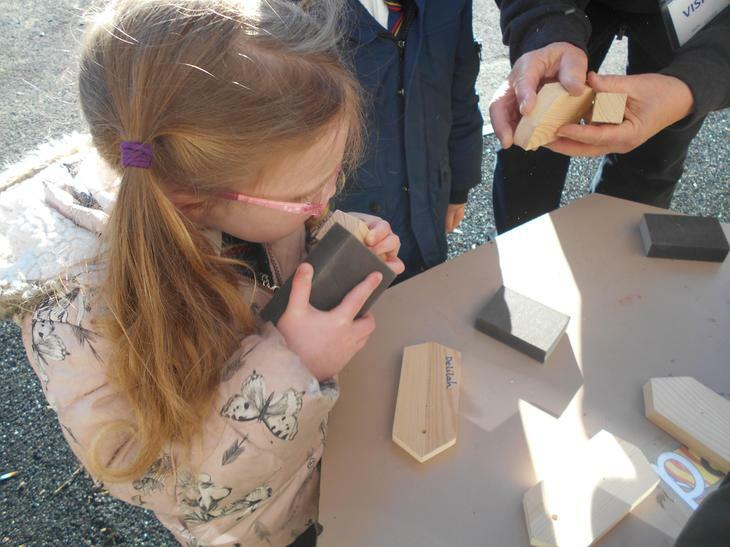 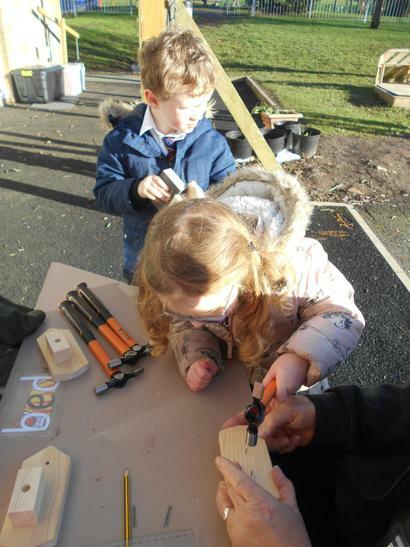 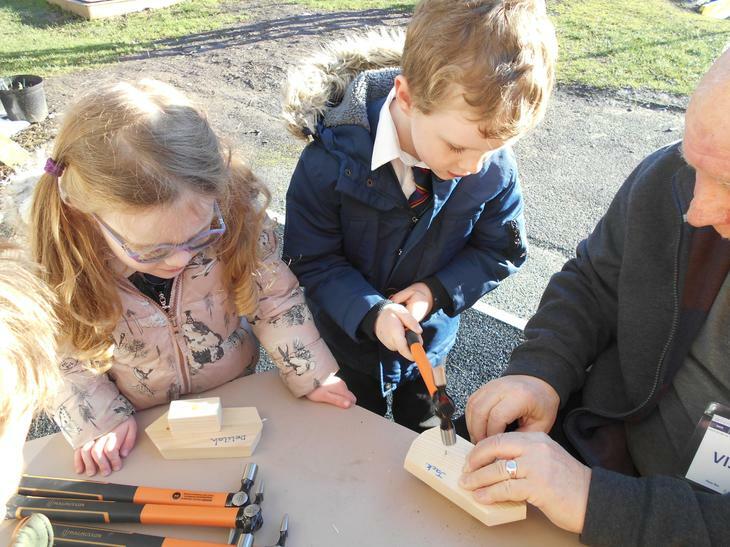 All the children will have the opportunity to take part in a woodwork session over the next few weeks. 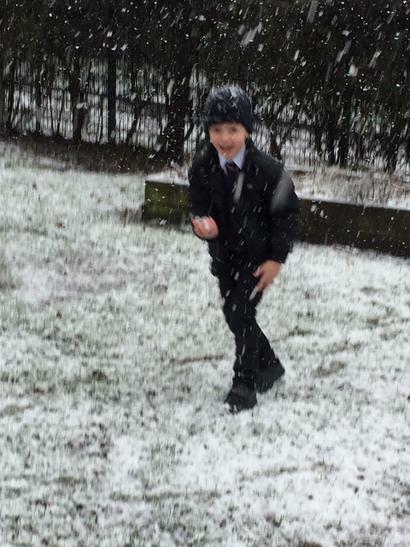 A big thank you to Gigi for giving up his time.